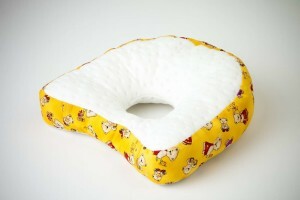 This pillow was specially designed for children with ear inflammation. The shape of the pillow follows the contour of the shoulder and back to ensure maximum comfort. The outer cover is constructed from a soft polycotton fabric. 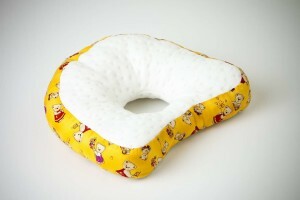 For children’s safety this ear pillow should be machine washed and tumble dried as one piece only. 1. 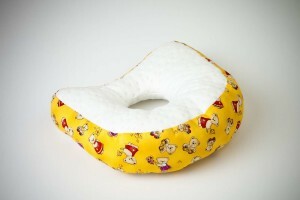 Child ear pillow has been designed for children over five years of age. 2. Do not use this pillow for babies and children under five years of age. Doing so might increase the risk of Sudden Unexpected Death in Infancy (SUDI), including Sudden Infant Death Syndrome (SIDS) and fatal sleep accidents. 3. Do not use this pillow for child while child is sleeping unobserved in a cot. Doing so might increases the risk of a sleeping accident by using pillow as a step to climb up and fall out of the cot. 4. It is safer to wait until the child starts to sleep in a bed before introducing a pillow.